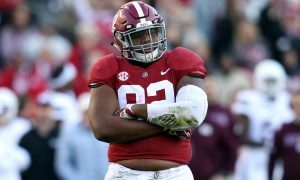 Larry' Losers in the SEC - Week 13 - 2018 - Rivalry Week! 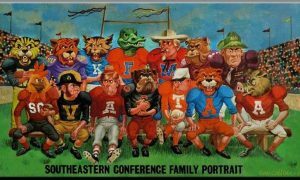 Larry’s Losers in the SEC – Week 13- 2018 – Rivalry Week! Well it’s the last week of the regular season. My oh my how time does fly! Can you out pick the expert on Rivalry Week? 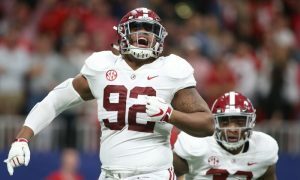 Larry’ Losers in the SEC – Week 13 – 2018 – Rivalry Week! Well sports fans, my heart was all a twitter last weekend as I was eyeing my first slate of perfect picks for the 2018 season. But at the last minute of the last game, Ole Miss and I both got robbed by what looked like a bad call to me and the Rebels became the unlisted loser to the Commodores of Vandy. Yes 11 out 12 sounds great, but I really wanted a pack of perfect picks to placate my unpleasant predictions for practically the whole 2018 season. And now I have rivalry week where anything can happen. Boy, it just looks like for the first time in the long history of Larry’s Losers that I could go a whole year without a wonderful week of all wins. So we’ve done double duty and studied the stats and put in the work the few care to do to make this the pack of picks that sticks to losers only. Read on see if you agree. At least this week all the games are somewhat good and it’s a great way to end the regular season, so here we go. THURSDAY NIGHT – Mississippi State at Ole Miss – The championship of the Magnolia State is on the line no matter what the records are and nothing would make the Rebels feel ridiculously righteous than than to roll the Bulldogs and end their season with a might big win. 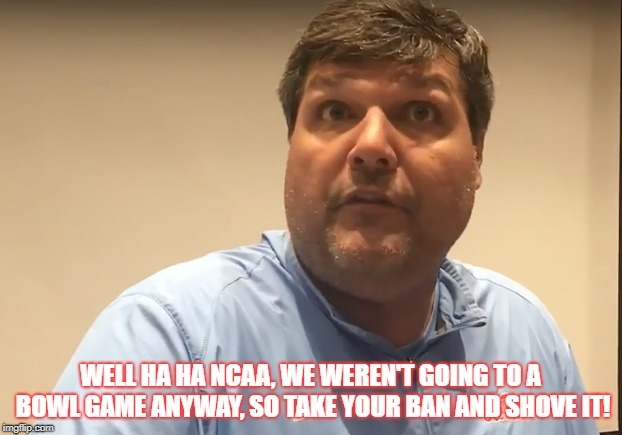 But Moorehead’s Mutts ain’t about to let a team that let one get away to Vandy vandalize their season by taking home the Egg Bowl trophy, so they’re gonna be biting and scratching all night long to make sure that don’t happen. 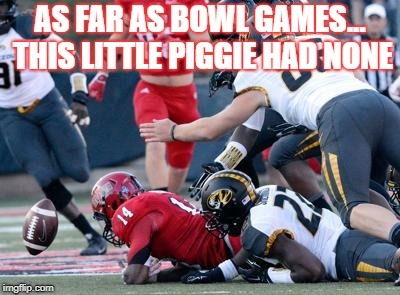 Friday Afternoon – Arkansas at Missouri – Well, since these little piggies are definitely going “Wee Wee Wee” all the way home because no matter if they win this game, their still going home and not playing in the post season. So you can bet with their pride on the line, they’re going to give it their all against these Midwestern Meowers. 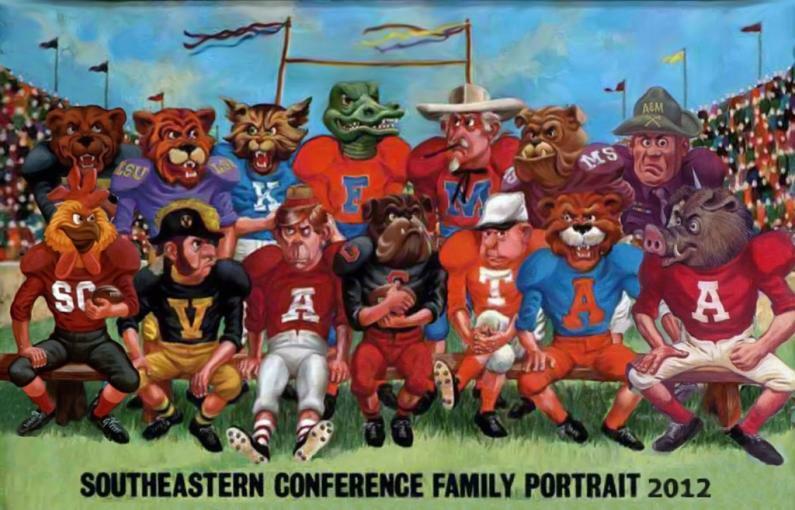 But fortunately for the Tigers their best isn’t all that good and once again an SEC team has a big Pig bbq at the expense of this awful Arkansas squad. and they shouldn’t wind up with a loss in this clash called the “Battle Line” rivalry. Saturday! – Georgia Tech at Georgia – The Ramblin’ Wreck gets enough life in the jalopy to amble into Athens for the State of Georgia Championship called the “Clean Old Fashioned Hate” rivalry. Now sometimes those wishbone teams can cause a lot of problems to teams that never see it. And that’s just what these batch of bees are hoping for as they plan on keeping the ball away from that high scoring pack of pooches. 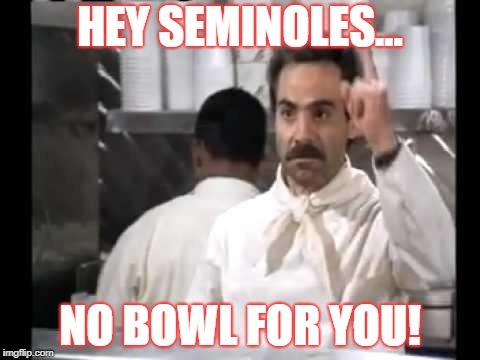 Florida at Florida State – When the Seminoles sander into the Swamp, they’re hoping that that a Thanksgiving weekend miracle will happen and that State’s bowl season streak can be kept alive by a big upset bug special. 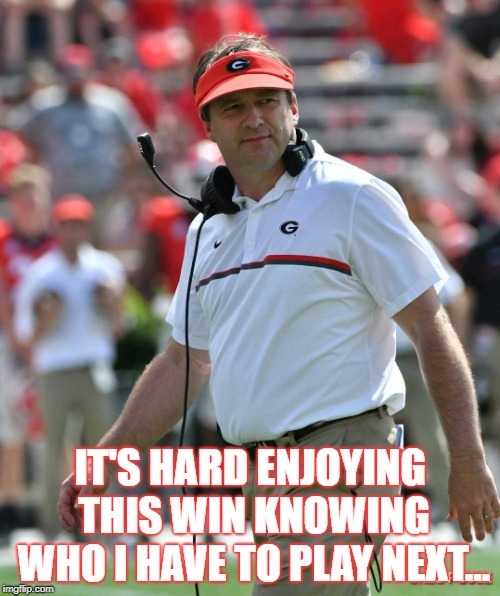 But Mullen’s Mudpuppies aren’t about to feel sorry for these red faced footballers and their silly streak, so they’ll just gobble them up like a good Gator should and add to their Thanksgiving feast. I’d like to think that this could be a good game. I’d also like to think that I will win the lottery, but neither seem likely, so Larry’s loser is Florida State. 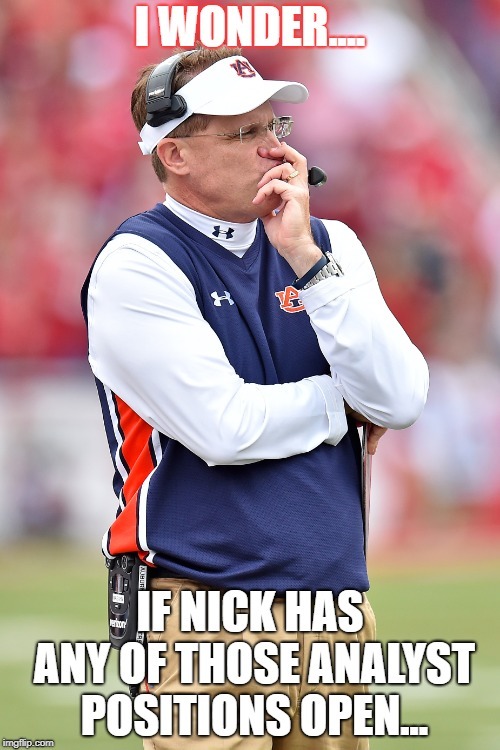 Auburn at Alabama – The Gus bus sputters into Title Town and hopes to pull of an upset win that will shock the football world, make people glad that they’re paying the Malzahn magician 32 more million dollars to keep delivering sub par football to their fans. 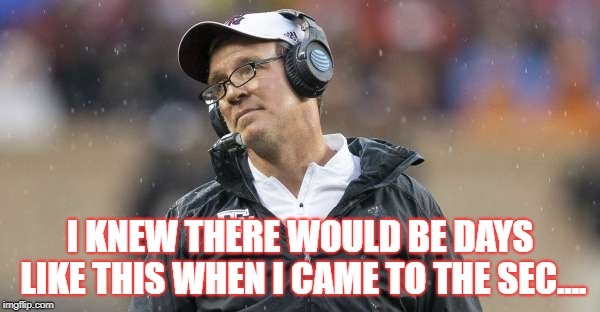 But honestly, this ain’t last year, this ain’t Jordan – Hairless Stadium and this ain’t a year the Tide has a letdown. What this really is, is payback. 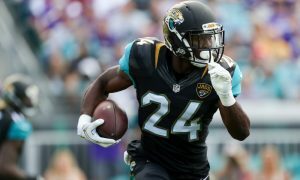 So this pack of Pachyderms will punish these Pussycats for last season and make folks wonder how in the heck this Tiger coach is getting top flight money for seasons like this. 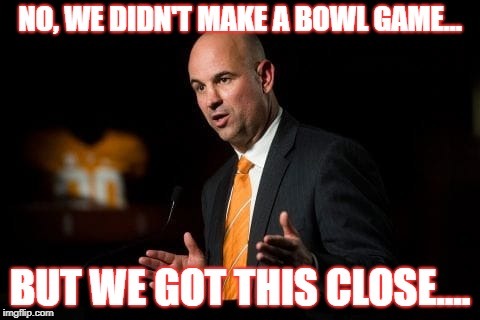 Tennessee at Vanderbilt – When the Vols take the freeway over to the Country Crooners Community it’s for a winners go bowling, losers go home kind of game. Now Tennessee has been an up and down team and it’s hard to guess which week they’ll either, but if Pruitt’s players are up, they could prove too much for the usually beatable Song City Sailor squad to silence. 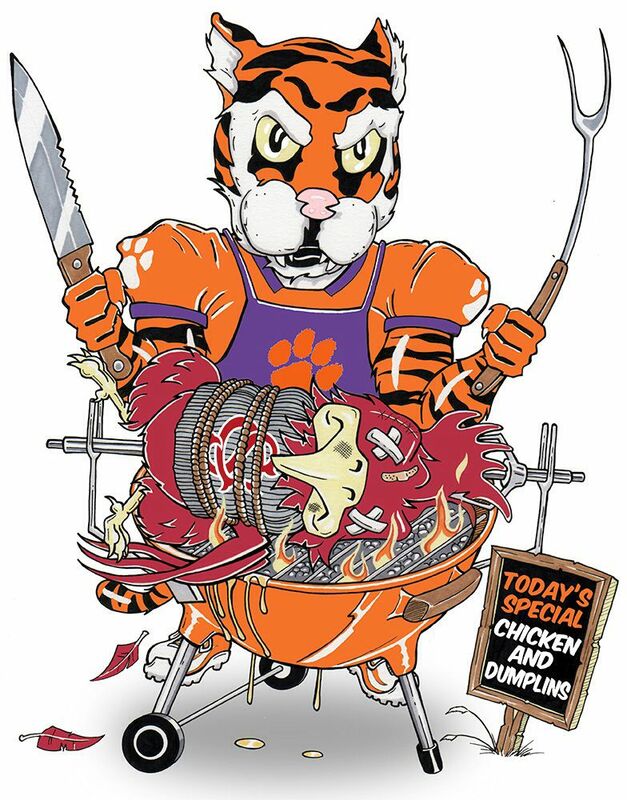 South Carolina at Clemson – The Carolina Clash will be settled in the Palmetto Bowl when the Cluckers carpool over to Clemson for state bragging rights. 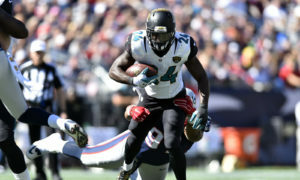 Now this has been a one sided affair with Spurred Pecker Heads winning five in a row before now losing four in a row to the clawed Kitties from Carolina and the Tigers are figuring to keep that streak going their way for a little while longer. 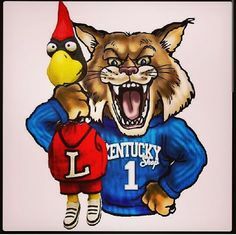 Kentucky at Louisville – The Governor’s Cup is up for grabs again and the Kentucky Kitties caravan over to Louisville for this nighttime test to see if Louisville is really as crappy as they’ve seemed all season. With Bobby Petrino looking for another job and hopefully not another motorcycle partner, it’s hard to believe that we’ll see his or the Red Bird’s best Saturday night. 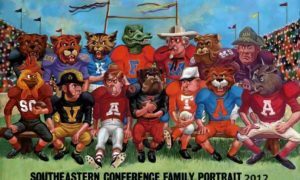 LSU at Texas A&M – The last contest may be one of the most entertaining when the Bayou Bengals bus over to Aggieville to take on the Cadet Farmers for a shot at being the best second tier team in the SEC West. 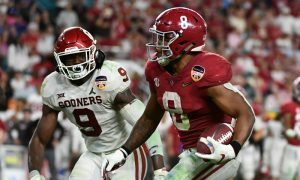 Now the Cajun Kitties have won the last seven in a row, but that was then and not now and to be honest, we can make arguments how either team will win. Even the line from Lost Wages, Nevada is small, so this is definitely one to panic over picking. Well that’s it for this week folks. 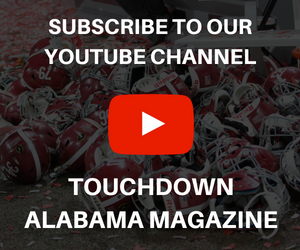 Even though the regular season is over we have a big SEC Championship game to go and then weeks of bowl games to gander.